Murphy Hearing Services Has Been Serving the Hearing Needs of Bucks County For Over 33 Years. 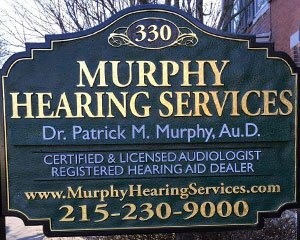 Murphy Hearing Services was established in 1987 by Dr. Patrick M. Murphy, Au.D., M.Ed., CCC-A, FAAA, a hearing-impaired professional. He knows what it’s like to deal with hearing difficulties on a daily basis and provides hearing help to people just like himself. The very first step to better hearing and to get answers on your hearing-related concerns is to schedule a complete audiological evaluation. At Murphy Hearing Services, we offer professional audiology services such as comprehensive audiometry, industrial hearing conservation, and the selection, programming, fitting, and full servicing of digital hearing aids. Murphy Hearing Services invites you to a complimentary Lunch & Educational seminar on the following dates. You will enjoy a delicious meal as you learn about the different types of hearing loss & current hearing solutions. 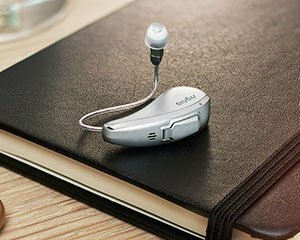 A presentation will be given on hearing loss and the newest hearing aid technology, as we want to make sure you are getting the most up-to-date information about hearing loss, in a relaxed professional environment. If you or a loved one suffers from hearing loss, you will not want to miss this powerful seminar presentation. 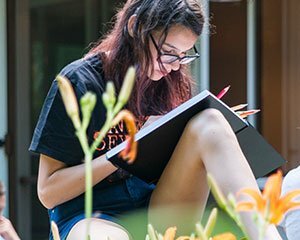 This is a unique opportunity for you to take the next step in getting the help you need and finally addressing your hearing difficulty. At the event, you will be encouraged to schedule an in-office appointment as well. Each event will be held at the Doylestown Country Club, call our office at (215) 230-9000 to RSVP today. We accepted Visa, MasterCard, and Discover credit cards. We also offer 12-month no interest financing to qualified patients through CareCredit. Your referring physician always receives a faxed report and copy of all test results. Want to stay on top of what’s going on in the world of hearing? So do I. See below for some stories, blog posts, articles, and more. 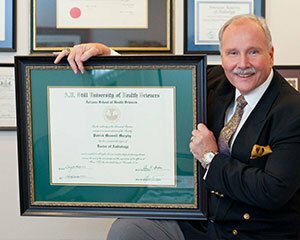 Dr. Murphy explores the nuances of the Over-The-Counter Hearing Aid Act of 2017, brings medical truths to the oft-misunderstood debate, and helps to accurately explain the complexity of the legal jargon. The realizations that patients come to in terms of their hearing loss can take a variety of forms. There is often a moment of epiphany, that I also learn from when I see it in a patient. This article explores a few such stories. Patrick Murphy sheds some light on the murky and opinionated topic of health care reform, notably the Patient Protection and Affordable Care Act by President Obama and the Health Care and Education Reconciliation Act (HCERA) of 2010.